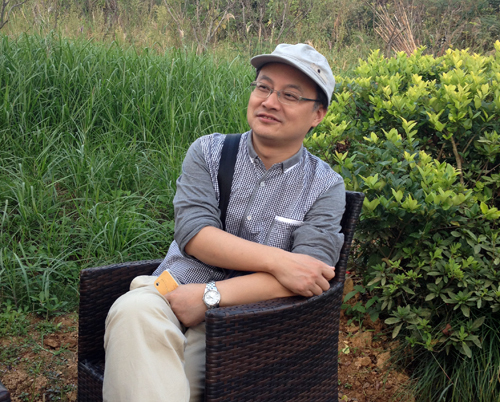 Hui-liang Shen received his BEng and Ph.D. degrees from Zhejiang University in 1996 and 2002, respectively. His research interests are in the area of multispectral color imaging, image processing, computer vision, machine learning, intelligent sensing. He was a research fellow and post-doctorial fellow in The Hong Kong Polytechnic University from 2001 to 2005. From Aug. 2005, he joined the College of Information Science and Electronic Engineering, Zhejiang University, where he is currently a full professor. He has authored 1 book chapter and more than 40 papers in international journals and conferences. He is conducting or has conducted several National Natural Science Foundation of China (NSFC) projects, large-scale oversea-collaborative projects, industrial projects, and participates in a National Basic Research Program of China (973 program) project. Z. W. Pan and H. L. Shen, Multispectral image super-resolution via RGB image fusion and radiometric calibration, IEEE Transactions on Image Processing (TIP), 28(4), 1783-1797, 2019. S. J. Chen, H. L. Shen, C. Li, and J. H. Xin, Normalized total gradient: a new measure for multispectral image registration, IEEE Transactions on Image Processing (TIP), 27(3), 1297-1310, 2018. J. Hua, C. Li, and H. L. Shen, Distributed learning of predictive structures from multiple tasks over networks, IEEE Transactions on Industrial Electronics (TIE), 64(5), 4246-4256, 2017. H. L. Shen, T. Q. Han, and C. Li, Efficient photometric stereo using kernel regression, IEEE Transactions on Image Processing (TIP), 26(1), 439-451, 2017. Z. W. Pan, H. L. Shen, C. Li, S. J. Chen, and J. H. Xin, Fast multispectral imaging by spatial pixel-binning and spectral unmixing, IEEE Transactions on Image Processing (TIP), 25(8), 3612-3625, 2016. T. Q. Han and H. L. Shen, Photometric stereo for general BRDFs via reflection sparsity modeling, IEEE Transactions on Image Processing (TIP), 24(12), 4888-4903, 2015. S. J. Chen and H. L. Shen, Multispectral image out-of-focus deblurring using interchannel correlation, IEEE Transactions on Image Processing (TIP), 24(11), 4433-4445, 2015.